Would you like to work with a specific Dreams Unlimited Travel agent? Title* Select Title Mr. Mrs. Miss. Ms. Dr.
Is everyone in your party a U.S. Citizen? Yes, everyone is a U.S. citizen. Do you have a preference for the type of communication? No, both email and phone communication is fine. I would prefer to be contacted only by email. You must create a password. This password is used to obtain your quote and to access our Client Services area. JUST for use on this website. Your agent will have access to the password you create and it could appear in written correspondences. Please provide us information about your party, including how many adults, children, rooms, and the corresponding information about each person. Please enter the age at the time of travel. IMPORTANT - ARRIVING WITHIN 45 DAYS PLEASE READ: Due to changes in Disney policies they will no longer allow us to place a complimentary hold on arrivals within 45 days without credit card information. If you are arriving within 45-days we will still prepare you a quote but pricing and availability cannot be guaranteed and may change by the time you make the deposit. We hope you understand this is Disney's policy and not that of Dreams Unlimited Travel. We cannot quote within 1 week of arrival. Do you know the resort(s) you would like pricing for? What are the Walt Disney World resorts? Walt Disney World spans over 50 square miles, with multiple resort options. Deciding on where to stay is one of the most difficult decisions you will make. Some factors that may influence your decision can be location, the number of people in your party and probably most important is price. There is a Disney resort for almost every budget. The most affordable accommodations are value resorts, these include the All Star resorts, Pop Century and the Art of Animation. 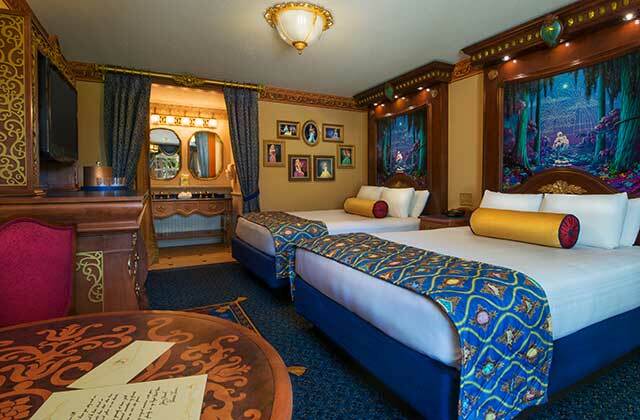 Each room sleeps 4 (plus one child under 3) with the exception of the family suites at Art of Animation and All Star Music, these will sleep 6 (plus one child under 3). The next level of resorts are the moderate resorts, these are the Port Orleans Resorts, Caribbean Beach and Coronado Springs. 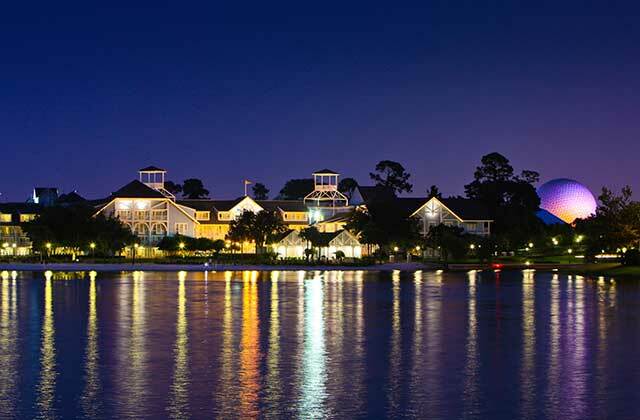 These resorts also sleep 4 per room (plus one under 3), with the exception of the Port Orleans Riverside. Here some rooms can sleep 5, but are more suited to the 5th person being a child or smaller adult. Somewhere between the value and moderate resorts fall the Fort Wilderness Campground. 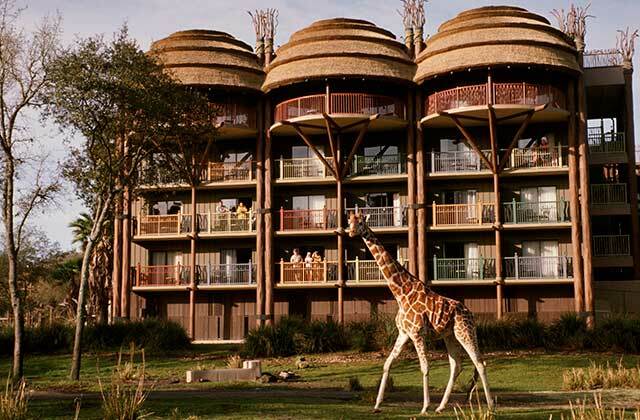 This Disney resort offers the best of the outdoors as well as one-bedroom cabins (sleep up to 6) for those preferring the "great indoors". There are over 700 campsites ranging in length from 25' to 65' to accommodate tents, tent trailers or RV's. This brings us to the deluxe resorts. These are priced based on location, proximity to theme parks and transportation options. The entry level deluxe resorts are the Wilderness Lodge and Animal Kingdom Lodge. These resorts each sleep 4 (plus one under 3) and rely on bus transportation to all parks. The next level of deluxe are the boardwalk resorts, these are Yacht Club, Beach Club and Boardwalk Inn. These resorts are within an easy walking distance to Epcot and also have a walking path (a little farther) to Hollywood Studios. There are boats offered to both of these parks as well. Magic Kingdom and Animal Kingdom are serviced by resort busses. The most expensive level of deluxe resorts are those on the Monorail loop. These are the Contemporary, Polynesian and Grand Floridian resorts. Each are serviced by a monorail offering transportation to the Magic Kingdom and Epcot. Busses are used for transportation to Animal Kingdom and Hollywood Studios. A unique category of resorts are the Disney Deluxe Villa and Home away from Home resorts (often referred to as DVC resorts). These resorts are part of the Disney Vacation Club (DVC), however some units are also made available to regular resort guests. These resorts are Old Key West, Saratoga Springs, Animal Kingdom Lodge Villas, Beach Club Villas, Boardwalk Villas, Bay Lake Towers (at the Contemporary) and the Villas at the Grand Floridian. These will offer studio, one/two and three bedroom units some full kitchen and in suite laundry facilities. Learn more about the different Walt Disney World Resorts. *Disney's Riviera Resort is now accepting reservations for stays beginning December 15, 2019. Do you qualify for any discounts? Check any and all that apply. Your Dreams agent will search for any discount you may be eligible for including special promotions and resident discounts. Please include any additional details in the Special Requests section. Would you like to add theme park tickets to your quote? This ticket includes admission to all 4 Walt Disney World Theme Parks (Magic Kingdom , Epcot, Disney's Hollywood Studios and Disney's Animal Kingdom) one park per day (i.e. no park hopping) and expire 14-days after the first use. 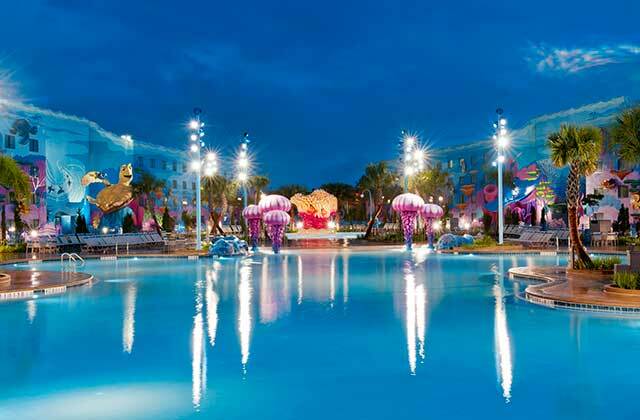 They do not include admission to the water parks, Disney Quest or ESPN Wide World of Sports Complex. Adding the Park-Hopper Option lets you come and go as you please through all four Walt Disney World theme parks on the same day or every day for each day of your pass. Check the price of adding the Park Hopping option here. For Disney fun beyond the four theme parks, this option provides the choice of admission to Disney's Blizzard Beach water park, Disney's Typhoon Lagoon water park, Fantasia Gardens Mini Golf, Winter Ummerland a round of golf at Disney's 9 hole Oak Trail Golf Course (Tee times required: 407-WDW-GOLF.) or ESPN Wide World of Sports Complex. The number of options equals the length of the Magic Your Way ticket which you select. No thanks, I just want a price quote for a resort stay. Yes, I would like theme park tickets added to my price quote. Would you like to add the Disney Dining Plan to your quote? What is the Disney Dining Plan and the different options? The Disney Dining Plan (DDP) can be added to a package reservation (room and tickets) or can also be added to a room only reservation made with an Annual Pass Discount or Military Discounted rate. The dining plan will be a cost savings for most families as well as have the added benefit of prepaying more of your vacation. Quick Service Dining Plan: This includes 2 quick service meals* and two snacks per person per night of stay. Also included is a resort refillable mug for the length of your stay for each member of your party. Regular Dining Plan: One quick service meal, one table service meal** and 2 snacks per person per night of stay. Also included is a resort refillable mug for the length of your stay for each member of your party. Deluxe Dining: 3 meal credits (any combination of quick service or table service) and 2 snacks per person per night of stay. Also included is a resort refillable mug for the length of your stay for each member of your party. *A quick service meal can also be called counter service. These are walk up locations that do not require an advance reservation, that serve quick service food items. Burgers, sandwiches etc, Disney has made great strides in offering variety and healthy options. **A table service meal is a sit down meal where you are seated and have a server taking your order. Advanced reservations are strongly recommended. There are many options including (but not limited to) character breakfasts, dinner shows and themed dining. Some locations are considered signature and will require 2 table service credits. Learn more about the Disney Dining Plan. No thanks, I do not want to add the Disney Dining Plan. Yes, I would like to add the Disney Dining Plan to my price reference. Would you like to add trip insurance to your Vacation Estimate? We have received notice from Disney that travel insurance will be temporarily unavailable for Walt Disney Travel Company packages for Walt Disney WorldÂ® Resort, DisneylandÂ® Resort and Aulani, A Disney Resort & Spa. We anticipate that travel insurance will be available sometime after Jan. 31, 2018. When travel insurance becomes available, we will be able to add that to your quote at that time. No thanks, I do not want to add trip insurance. Yes, I would like to add trip insurance to my price reference. Do any members of your party require a handicapped accessible room? No one in our party requires a handicapped accessible room. Disney sometimes runs promotions and/or discounts based on residency. By providing us with your full and complete address it will allow us to check for any and all discounts that may be applicable to your reservation, including any that are based on location. Would you like to add theme park tickets to the Vacation Estimate? What are the different ticket options? No thanks, I just want a price reference for a resort stay. Yes, I would like theme park tickets added to my price reference. Would you like to add the Disney Dining Plan to your Vacation Estimate? What is the Disney Dining Plan and the different options? No thanks, I do not want to add the Disney Dining Plan.